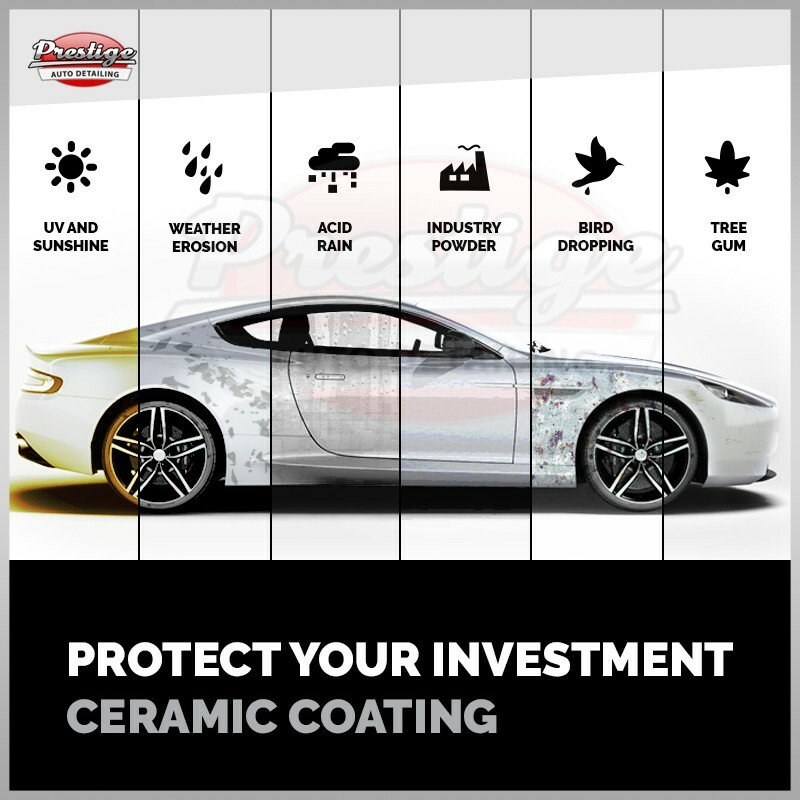 Ceramic coating is an intensive coating system that bonds the nano-coating to the car’s paint surface. Once cured, this extra layer of protection gives your car a high-quality, long lasting shine that is inseparable from the paint for unbeatable defense you can’t find in regular clear coating. With Nano coating, you get a super sleek finish made possible by the exclusive glass coating for a shiny, slick exterior. The newly polished exterior stays hydrophobic after your one-time application for water beading so immaculate, dirt is captured with the beads for a self-cleaning effect not possible in other coats. While normal clear coat has a hardness rating of just 2H to 4H, Ceramic coating boasts a 9H rating for superior coverage you can’t find in waxes, clear coats, or sealants. Boost the integrity of your paint and your vehicle with ceramic coating from Prestige Auto Detailing today!